A macular pucker is scar tissue that has formed on the macula, which is the center of the retina in the back of the eye. It can also be called a epiretinal membrane, cellophane maculopathy or retina wrinkle. The macula and the millions of cone cells in the macula are responsible for the sharp, central vision we need for reading, driving, and seeing fine detail. The vitreous humor is a gel-like substance that fills about 80 percent of the eye and give the eye its shape and form. This gel contains millions of fine fibers that are attached to the surface of the retina. As we age, the vitreous shrinks and pulls away from the retinal surface. This is called a vitreous detachment, and is a normal part of aging. This can cause an increase in floaters, which are little "cobwebs" or specks that float about in your field of vision. Sometimes when the vitreous pulls away from the retina, there is microscopic damage to the retina's surface. To heal from this damage, a scar forms on the surface of the retina. The scar is firmly attached to the retina surface. When the scar tissue contracts, it causes the retina to wrinkle, or pucker, and often a person will not experience any symptoms as a result. Vision loss from a macular pucker can vary from no loss to severe loss, although severe vision loss is uncommon. For most people, vision remains stable and does not get progressively worse. Usually this macular condition affects one eye, although it may affect the other eye later. A macula pucker usually requires no treatment. In many cases, the symptoms are mild, and no treatment is necessary. People usually adjust to the mild visual distortion, since it does not affect activities of daily life, such as reading and driving. Neither eye drops, medications, nor nutritional supplements will improve vision distorted from this eye condition. Sometimes the scar tissue--which causes the pucker--separates from the retina, and the macula pucker clears up. Rarely, vision deteriorates to the point where it affects daily routine activities. However, when this happens, surgery may be recommended. This procedure is called a vitrectomy, in which the vitreous gel is removed to prevent it from pulling on the retina and replaced with a salt solution (Because the vitreous is mostly water, you will notice no change between the salt solution and the normal vitreous). Also, the scar tissue which causes the wrinkling is removed. A vitrectomy is usually performed under local anesthesia. Some people have significantly more vision restored, some less. In most cases, vision distortion is significantly reduced. Recovery of vision can take up to three months. The most common complication of a vitrectomy is an increase in the rate of cataract development. Cataract surgery may be needed within a few years after the vitrectomy. Other, less common complications are retinal detachment either during or after surgery, and infection after surgery. Also, the macula pucker may grow back, but this is rare. 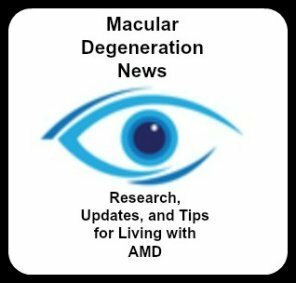 A macula pucker and age-related macular degeneration are two separate and distinct conditions, although the symptoms for each are similar. A macular pucker and a macular hole are different conditions, although they both result from the same reason - the pulling on the retina from a shrinking vitreous. When the "pulling" causes microscopic damage, the retina can heal itself; scar tissue, or a retina wrinkle, can be the result. If the shrinking vitreous pulls too hard, it can tear the retina, creating a macular hole, which is more serious. Both conditions have similar symptoms - distorted and blurred vision.